Polycom vient de publier une mise à jour du logiciel Polycom UC. VOIP-94647 Added support to a web page to sign-in to Lync. VOIP-92769 Upgraded ICE stack for Lync. VOIP-92727/92899 Added support for back ground image lockdown. VOIP-92480 UI optimization on call input screen. VOIP-92343/93014 Added support to addition control over subscription expiry timer. VOIP-92279/90820 Added support to Genband Personal Address Book (PAB) and Global Address book (GAB). VOIP-90822 Added support for Genband E911. VOIP-90821 Added support for Genband MADN-SCA. VOIP-89193 Reduced sip.ld file size by about 23%. VOIP-78521 Added support for gate keeper FQDN. VOIP-62378 Added support for server independent Intercom. Microsoft vient de publier une nouvelle version du SDN (Software Defined Networking) Lync. The Lync SDN (Software-Defined Networking) API allows developers to build applications and services that can monitor, isolate and correct issues on the network that affect Lync quality of experience. The installer application also provides customers with the ability to interface with qualified 3rd party applications built on the Lync SDN API. Lync Server 2010 and 2013 provide customers with an unmatched unified communications and collaboration experience. Since Lync relies on the underlying network, sometimes the quality of experience can be affected by underperforming or improperly configured network elements. Applications built on the Lync SDN API provide the ability to quickly detect quality-affecting issues on the network, and deliver prescriptive resolutions and traffic prioritization. Evolved the architecture to better support High-Availability topologies. Simplified deployment and configuration of the SDN interface. Extended the device information presented to network management systems for better diagnostics and event correlation. Qualified functionality across Lync Server 2010, 2013 and included IPv6 topologies. Nouveau projet, je reçois une passerelle Audiocodes 800 SBA pour un des sites distants il y a deux semaines, la version de SBA envoyé est en Lync 2010. Ok, je tente la procédure de mise à jour, la passerelle n'est pas capable de reconnaitre la clé USB. Retour au support Audiocodes qui valide un problème de Bios, je reçois la nouvelle passerelle aujourd'hui, toutes les passerelles sont envoyées en SBA 2010, l'upgrade est nécessaire. - Valider que vous avez la clé usb pour Lync Serveur 2013. Vous trouverez ce fichier à la racine de la clé USB. When this setting is used, the SBA upgrade and recovery process runs automatically using Windows Pre-installation Environment (WinPE). You can configure the SBA upgrade and recovery to perform a specific operation upon the completion of the process, using the OnExit parameter. Sauver la configuration et redémarrer l'appliance qui devrait maintenant embarquer dans le processus d'upgrade. Le serveur OSN devrait s'être éteint automatiquement. Mise hors tension, puis sous tension du Mediant 800. Laissez le système se réinitialiser. Lorsque l'opération aura pris fin, connectez vous sur le serveur et attribuer une adresse IP. The latest good news from KEMP Technologies is that we are now an officially qualified infrastructure solution for Microsoft Lync. The Microsoft Unified Communications Open Interoperability Program (UCOIP) confirms the status of KEMP as a leading provider of not just load balancing, but also reverse proxy solutions for enterprise Lync deployments. In qualifying for certification, the KEMP LoadMaster has to balance Lync traffic in a number of scenarios, including enterprise pools with multiple front-end servers, across an array of directors and edge servers. Scenarios included the delivery of services to both internal and external Lync clients. The UCOIP qualification applies to both Lync 2010 and Lync 2013 across all delivery platforms including virtual, appliance, bare-metal and cloud. This offers customers the maximum flexibility with the technology they use to deliver Lync along with confidence in the capability and quality of KEMP solutions. To simplify deployment of load balanced Lync solutions, KEMP provides detailed configuration guides and application templates along with free technical support during the first year. This article describes the Microsoft Lync Server 2013 (Front End Server and Edge Server) issues that are fixed in the cumulative update that is dated September 2014. The version number of this update is 5.0.8308.815. This article describes the cumulative update that improves the reliability, stability, and performance of Microsoft Lync Server 2013, Unified Communications Managed API 4.0 Runtime. The version number of this update is 5.0.8308.815. This article describes the Microsoft Lync Server 2013 web components server issue that is fixed in the cumulative update that is dated September 2014. The version number of this update is 5.0.8308.815. This article describes the cumulative update that improves the reliability, stability, and performance of Microsoft Lync Server 2013, Conferencing Attendant. The version number of this update is 5.0.8308.815. Cause: This could happen if the CA is unreachable or the certificate did not specify the CDP location. It could also happen if the CA was overloaded. You should contact the issuer and download/install the CRL. Depuis quelques semaines, Cisco Jabber 10.5 est disponible pour iPhone, iPad et Android. La fonctionnalité qui permet de mettre en attente ou de reprendre un appel de manière indépendamment du terminal utilisé, et permettant de passer d’un équipement (téléphone physique, terminal vidéo personnel et Jabber sur mobile) à un autre est très intéressante. Guide de déploiement: ici . La release note de Jabber for Android 10.5 est disponible ici et le User Guide ici. La release note de Jabber for iPhone and iPad 10.5 est disponible ici et le User Guide ici. Si vous avez la chance d'être à proximité d'une des villes du circuit de l'Office 365 World Tour, vous aurez l'opportunité de participer à un évenement intéressant. The Office 365 Summit is a series of limited invitation 2 day workshops for Microsoft's most valued customers and partners providing deep-dive readiness on all productivity workloads from Microsoft product experts. Office 365 Summit will feature over 60 breakout sessions with 300-400 level content across IT Professional, Development, Sales & CIE, Adoption and Education tracks. During the Summit, you will have the opportunity to interact and learn from your industry peers and representatives from Microsoft and participate in hands-on learning. Select a location below and register now to secure your spot! Intégrateur en UC Microsoft, mettre à jour une passerelle SBA nous paraît une formalité, c'est une procédure courante, mais pour les administrateurs devant gérer un environnement avec une multitude de technologies différentes, des interrogations légitimes sont fréquemment soulevées. Doit-on maintenir à jour nos passerelles SBA avec les dernières cumulatives updates? La réponse est bien entendu oui. 3 - Importer les 4 mises à jours l'une après l'autre dans l'interface et appliquer. 4 - Vérifier que les versions sont correctement mises à jours. Connexion RDP vers l'IP du SBA. Télécharger localement le fichier LyncServerUpdateInstaller.exe. The UM server has been configured to automatically use the Communications Server Audio/Video Edge resources associated with ‘lync.nissarte.ca:5061′. Inbound and outbound calls involving remote users (located outside the enterprise) might be failing using the current Communications Server Audio/Video Edge resources. To correct the issue, set the SIPAccessService property using the Set-UMServer cmdlet. The Microsoft Exchange Unified Messaging service will start using the Communications Server Audio/Video Edge resources corresponding to the new value. A contact receives a call in a Lync client instead of on a mobile phone when you dial the contact’s telephone number in Lync Room System. This issue occurs when the number is in the address book. The "loading" message appears in the front of room touch displays in Lync Room System when desktop sharing can be seen in other Lync clients in a meeting. You receive the "Nothing's being presented" message in the Content tab when the content is presented in Lync Room System. Set the "on-screen keyboard" clicks off as default. Replace the "Find someone using the search box" text with the "Find someone or dial a number" text on the invite participant screen. Add the functionality to use Lync Room System without changing any settings, names or domains for an administrator who has different Exchange (SMTP) and Lync (SIP URI) domain names. Provide improved error messages when you check updates. L'outil s'appelle Lync Phone Edition (LPE) Log Viewer. Lync Phone Edition Log Viewer allows you to view and filter the logs held on the Lync Phone Edition devices. These logs are actually very useful once the garbage has been removed, and reveal a lot about the sign-in process and the errors that come with it. Pour diverses raisons, il est nécessaire de pouvoir accéder aux logs d'un téléphone de type LPE, ces derniers n'ayant pas d'interface web pour la gestion ou le troubleshooting. This security update resolves three privately reported vulnerabilities in Microsoft Lync Server. The most severe of these vulnerabilities could allow denial of service if an attacker sends a specially crafted request to a Lync server. This security update is rated Important for all supported editions of Microsoft Lync Server 2010 and Microsoft Lync Server 2013. For more information, see the Affected and Non-Affected Software section. The security update addresses the vulnerabilities by correcting the way Lync Server sanitizes user input and by correcting the way Lync Server handles exceptions and null dereferences. For more information about these vulnerabilities, see the Frequently Asked Questions (FAQ) subsection for the specific vulnerability later in this bulletin. When you sign in to Lync 2013 by using an Office 365 account, Lync 2013 prompts you for Open Authorization (OAuth) credentials. After you install updates KB2889860 and KB2881001, Lync 2013 will enable Active Directory Authentication Library Single Sign-On (ADAL SSO) in an Office 365 environment. 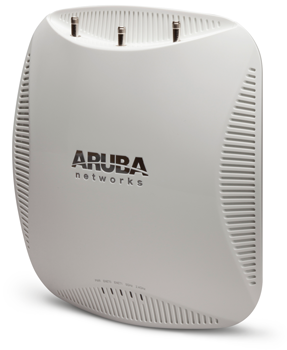 Aruba a annoncé à la fin du mois d'Aout avoir achevé le processus de certification de ces points d'accès sans-fil externe et interne supportant le standard 802.11ac. A suivre, Microsoft vient de publier une notification concernant les mises à jours prévues le 9 Septembre 2014 (September 2014 Patch Tuesday updates).